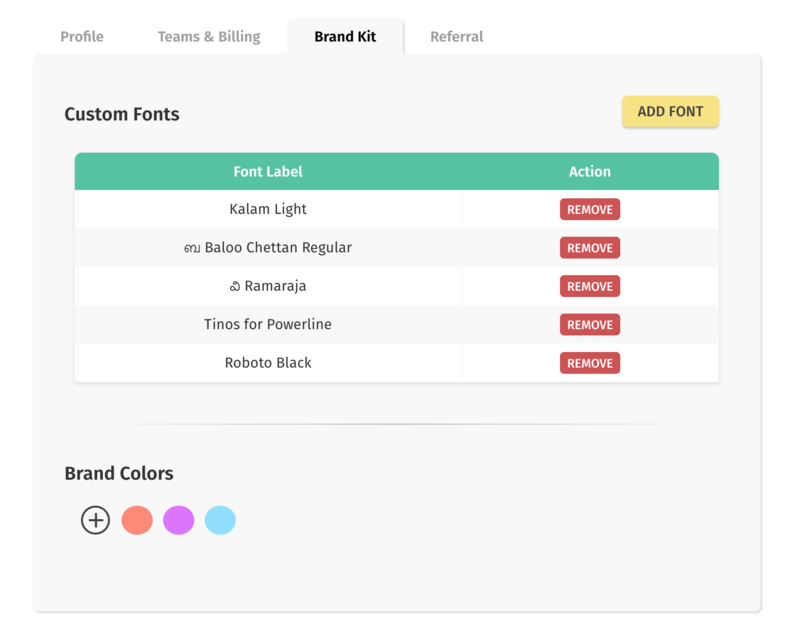 Brand Colors is a capability that's part of Brand Kit, a premier feature available to customers who have subscribed to one of the plans here - https://typito.com/pricing. 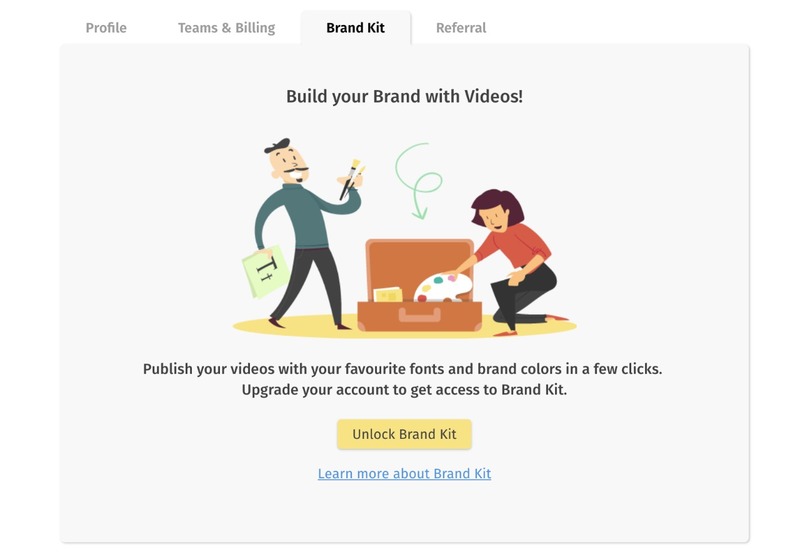 It lets you pick 10 of your brand color so that you can easily access them while editing videos on Typito. You could either use the color picker UI (the white knobs) or use the hex code field to add the color. Once the color is decided, you can just click "Add" to add it to the Brand Color. 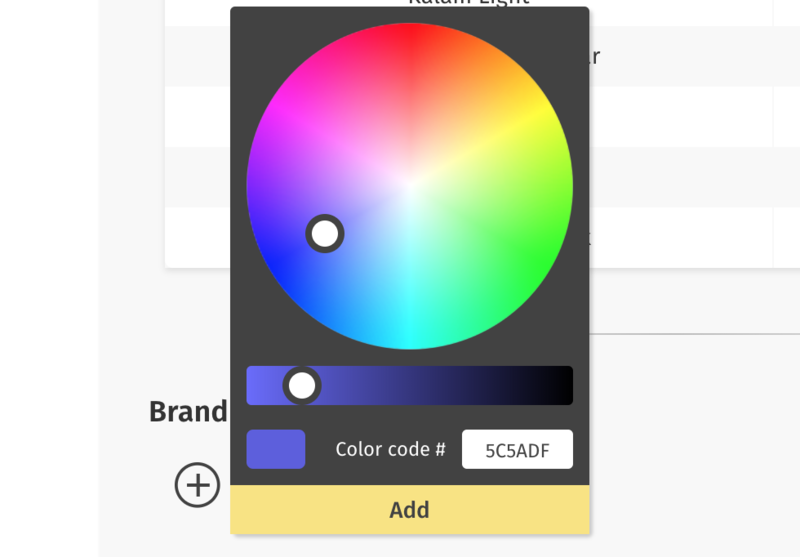 If you want to change an already existing color, just click on it again in the Brand Color section, choose a appropriate color and click on "Update" button. 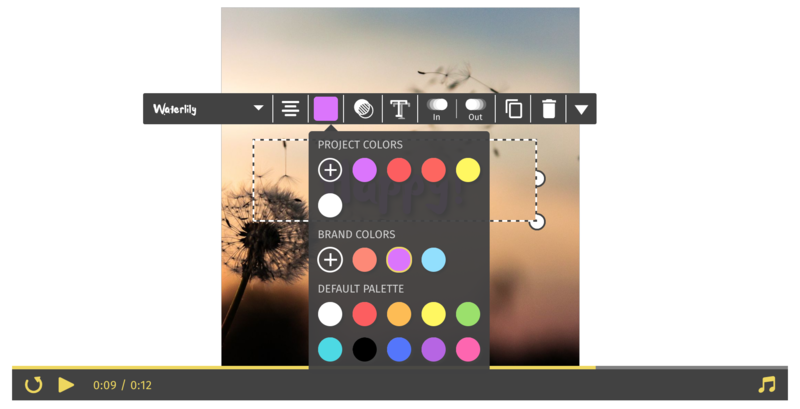 That's how you can add colors to your Brand Color palette!